Other than working with the grantee project staff on their Theory of Action, we also visited the project beneficiaries. Our goals were to understand what has happened to date, the community’s expectations, and the current baseline of the issue of concern (education, health, etc.) Our intention was to videotape some portion of our conversations with beneficiaries. The foundation was interested in hearing about the progress and impact of the project from beneficiaries. This of course was no easy task, for a variety of reasons. While staff give us an opportunity to speak one-on-one with beneficiaries, we were not able to create any sort of safe space or context where people might feel comfortable confiding in us, critiquing the project, etc. Our interest exploring participatory methods with the communities, to both get a more effective sense of the perspectives and expectations of the beneficiaries, but also to model the project team the effectiveness and importance of these approaches. In the end, the limited time we had to work with community members (2 hours) made this unrealistic (although we have recently experimented with a more participatory, engaging approach which we’ll write about in another post). In general, communities were open and receptive, and didn’t seem to mind the video camera. They especially enjoyed seeing the recordings played back. As mentioned, we’ve been struggling with how to make the community dialogue approach overall more effective in supporting an credibly community-driven, respectful, development process. One of the challenges, which we will address in a subsequent post, comes from the somewhat incompatible goals of the foundation – that is, building grantee evaluation and learning capacity, and project accountability needs. On one hand, the foundation want the grantees to feel that it and the evaluators, are their allies; while on the other hand, the foundation is pushing evaluators to “ask hard questions and probe”. Overall a sense of the basic strength of the assumptions on which the program is built. A very rough sketch of the baseline of the project and issue of concern, and important contributing factors. This information would be important for future monitoring of the project’s progress. In Chiapas, communities spoke little Spanish, and communicated in Tzeltal and Tzotzil. If the translator stopped to interpret very regularly, which would have allowed for follow-up questions, the conversation lost its flow and was very stilted. Therefore, the translator needed to understand well the goals of the conversation (and the project), and ideally continue with the evaluator throughout the visits. 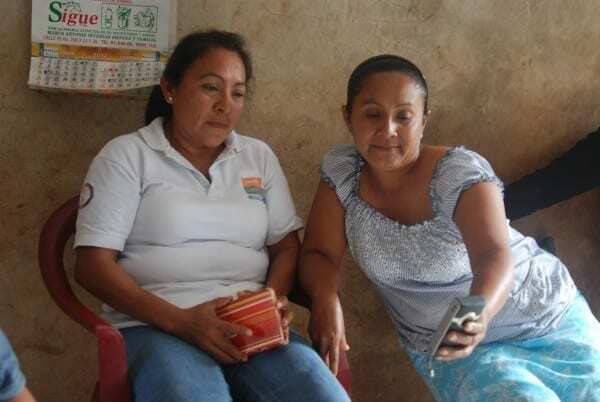 Even in communities that do speak Spanish, beneficiaries are far more open and animated in their mother tongue. Conversations are best with smaller numbers of people (2-3) which allows for more in-depth dialogue. It’s hard to keep videos short. Evaluation plans need to take into consideration the size of videos, and have enough external storage, etc.